Before purchasing certain items, I like to do some research and read, hear or watch reviews before spending a lot of money to purchase the product - especially when it comes to eyeglasses. Unlike makeup and hair products, I actually need to wear glasses practically every moment of the day and to go to a store it is so expensive. For my eye prescription it is almost $300 just for the lenses which is one of the reasons I opted to search online for eyeglasses. 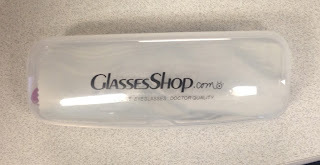 I had been looking online at some glasses frames for a while and was so excited when GlassesShop.com contacted me. 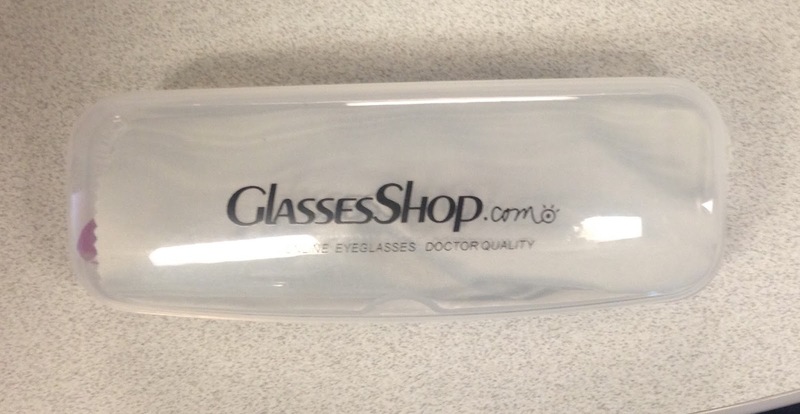 They sent me a pair of glasses for an honest review. 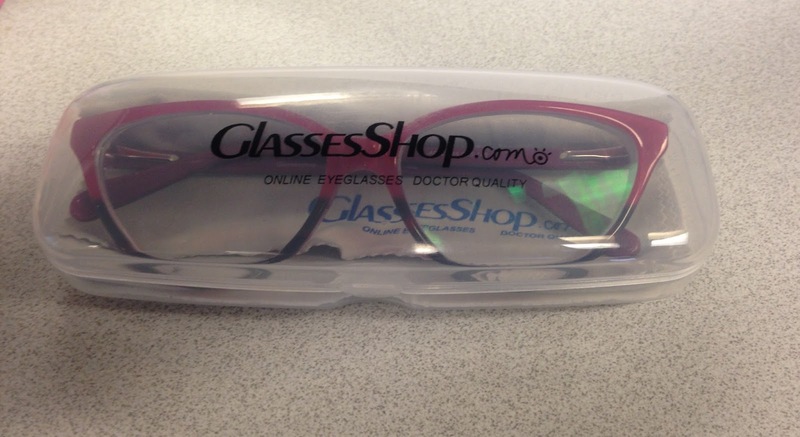 GlassesShop.com is an American owned online retailer of eyeglasses. 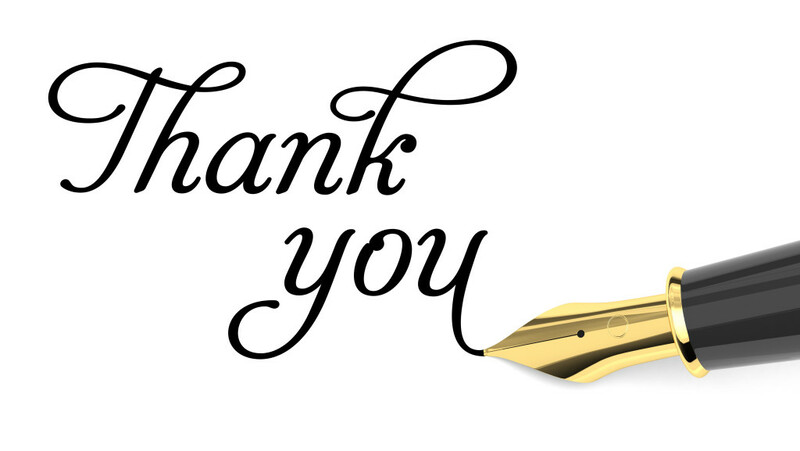 Since the website launch in 2004, they have maintained a standard of providing high quality at affordable prices. Started by a group of eye doctors they understand the struggle with the high cost of eyeglasses. Prior to them reaching out, I heard about the company but hadn’t purchased from them before. 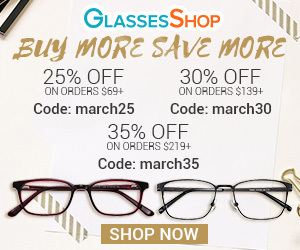 The website is easy to navigate and finding frames that would fit my style and my face shape was pretty easy as they have so many different styles of frames and they even have prescription sunglasses. I wanted something different from my everyday look, something that I could change up my style so I chose Giselle Cat Eye frames. 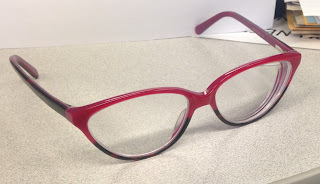 They have the cat eye shape that is trending right now, the frames are light red (at first I thought it was pink – perfect for me!). The frames were $35.95 and depending on what type of lenses you want (super thin, anti-scratch etc.) it is anywhere from $19.00 - $72.00. 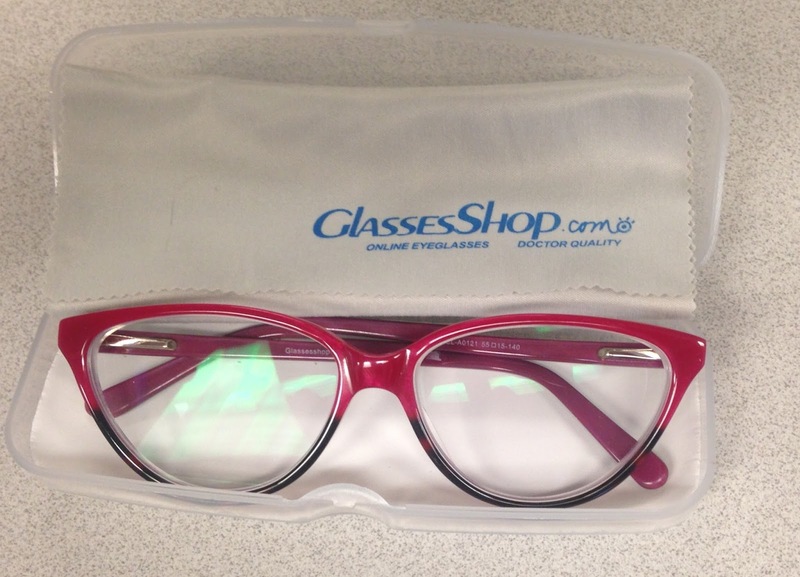 All together my eyeglasses came to $55.80!! Such a great price! All of the glasses on the site are extremely low-priced compared to what you would normally pay for in the store, for the frames alone they range from $12.95-$39.95 and their options for lenses are reasonably priced, you can definitely get pair of prescription lenses under $100. The glasses are not name brand but from wearing them they seem to be quite sturdy, I had to adjust a bit at first and now they sit nicely on my face, and I don’t have that annoying glare that you can sometimes get with glasses. They do come in a nice white/clear case which is durable not too bulky so it can easily fit into a purse and it comes with a cloth to prevent any scratches on your lenses while wiping them. The shipping didn’t seem to take too long considering that it is being shipped from China. The frames were a little larger than I expected but Overall my experience with the company was good, I received my products quickly, they came packaged nicely, and they look very cute and fashionable. I would recommend this company to anyone looking to purchase reasonably priced prescription glasses /sunglasses or even nonprescription glasses. 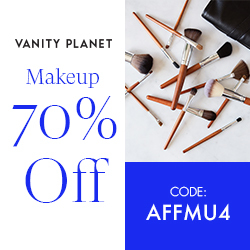 It is definitely great for anyone on a budget and likes to change up his or her looks every now and then as I do. If you are interested, visit GlassesShop.com and use this Promo Code GSHOT50. This code will give you 50% off on eyeglasses and sunglasses with free lenses (sale frames excluded)! !